As a result of the migrant influx to Germany, nearly a third of municipalities in a new study revealed that they would have to go into debt this year. A study, entitled “Refugee Integration: Challenges for German Municipalities”, surveyed 300 of 1,554 cities and towns with more than 10,000 inhabitants. Given it only sampled 300, and that there are large numbers of migrants in towns with smaller populations, the Berlin Journal estimates the actual numbers of towns heading into debt to be much higher. The Berlin Journal revealed that most towns surveyed have already had to absorb any additional debt for the migrant influx. This year, however, 29 per cent of the municipalities said they would outright be driven into debt by the migrants. The cities and towns surveyed said the influx of migrants would send them into €1.1 billion of debt. They said by next year, the cost of migrants to these municipalities is likely to go up by €70 million. The federal government pays German provinces €670 a month per migrant. Some federal states give towns and cities money for migrants. Others, like Bayern, leave towns and cities to foot the bill. The report notes that unaccompanied minor migrants command huge costs. 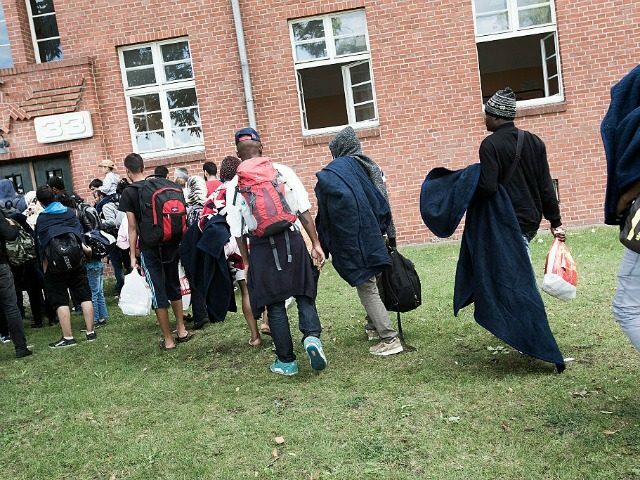 In May, Breitbart London reported that regional governments were spending over €2.7 million on 65,000 unaccompanied minor migrants. The municipalities surveyed said that by the year’s end, they will lack accommodation for 464,000 migrants. The cities cited a number of reasons that they were not prepared to receive a huge influx of migrants. Among these was the lack of forecasting for the numbers of migrants arriving, and a lack of suitable premises for them to live in. In Autumn last year only 78 cities and towns had housing for at least 1,000 migrants. Now, 187 places report having more than 1,000. To accommodate migrants, municipalities said they had to use newly built residential housing, private accommodation, equipment containers, and properties such as former schools and barracks. Overall the municipalities surveyed said that so far they are accommodating 836,000 migrants.